While I learned a lot from Mrs. Obama during the interview (some takeaways here and here), the process of preparing for the day itself was rich with lessons. These are heavily informing my 2018 personal goals and I’m sharing in case they might help others as well. Review the Game Film – The Spredfast Marketing team who pulled off the coup of securing Mrs. Obama in the first place started me on a steady diet of looking at available previous interviews with Mrs. Obama to critique and second guess everything from editing to question flow. The major challenge is that much of what is available are other celebrities conducting the interviews. While everyone is interested in the FFLOTUS and Oprah comparing notes, I was well aware that the audience was there to hear from her, not me, so I needed to take a slightly different tack. Preparation sets the table for Serendipity – I ritualistically prepare for keynote presentations by building muscle memory. The better I know the material, the more I can be present in the moment to connect with the audience and perform on the day. While I have done a number of onstage fireside chats previously, I have never actually acted out rehearsals or done technical practices – those I prepped by “warming up” the interview subject in prep calls which was not on the table here. Thus, we needed to rehearse with surrogates. I’m not going to lie, I felt a little (ok, VERY) silly at first. However, knowing that I could juggle interview cards and a handheld mic and had practiced the questions over and over meant that I had more mental bandwidth in a very adrenaline fueled moment to try to actually LISTEN and simply guide the course of the conversation. My favorite moment of that hour was riffing with Mrs. Obama about her comments about making sure to review tweets – a moment only made possible because I wasn’t obsessively trying to remember or get to the next question. Leadership is Everywhere – Mrs. Obama was amazing, but truthfully, I learned a something from everyone who stepped in to help me practice and polish – including WPEngine’s CEO Heather Brunner and my own husband who got dragged into the prep process in the final week. Turns out, I don’t turn to the man I walk through life with and ask him hard questions about leadership every day, but he’s pretty wise. While its amazing to be able to ask the former First Lady serious questions about how social media has changed the electorate, what it will take to get the next generation into politics, and how to tell a story through a team, we have leaders in our midst whose perspective is similarly valuable. We should be asking hard questions of everyone. As I think forward to 2018, I am spending a lot of time reviewing the ups and downs of 2017 – not what happened, but how I reacted and chose to act, to speak, to prioritize, to spend my time and to behave. This year my goals center on being more thoughtful about how I spend my time. I wish to spend more time proactively investing in myself, my children and my community and far less of it in my comfort zone of reacting to incoming items. And I do want to spend more of my time with my remarkable friends, colleagues and my spouse discussing about things that will make a difference in the world or right here in Austin, TX. 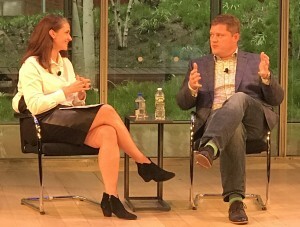 A few weeks ago, I had the chance to interview Wendy’s head of social/digital, advertising and media, Brandon Rhoten live in NYC at the 2017 WOMMA Summit. 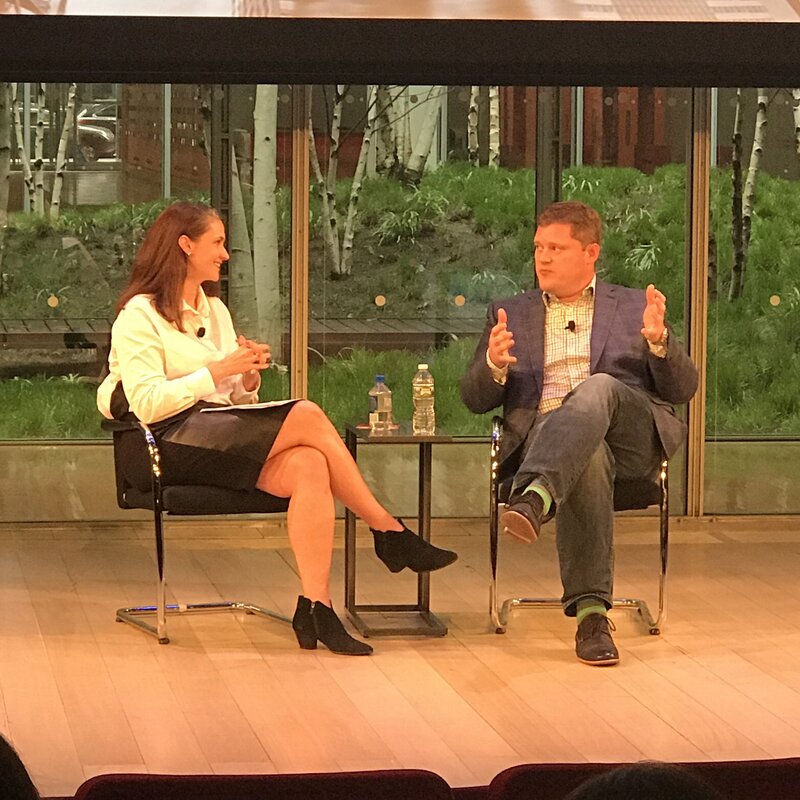 Brandon was pithy and forthcoming, sharing the story behind the Wendy’s brand personality and how their approach to audience engagement has led to runaway successes like fan/competitor “roasting” and “Nuggs for Carter”. Check out the live counter of Carter’s free nugget retweets vs. Ellen’s Oscar selfie retweets – he overtook Ellen about a week after this interview transpired. Perhaps most valuably, Brandon shares techniques for watching what is starting to grow organically and how a brand can gently encourage that tinder to catch fire. Brandon also shares the way management built their tolerance for their “charming challenger” personality being able to take risks and tolerate mistakes. Check out the video here or the Forbes article on the interview here. This spring, my son went through one of the new Little Helping Hands tracks programs aimed at grades 3-5. The program combines age-appropriate education with a series of activities exploring different aspects of a single issue facing Austin – in this case, poverty. Luckily, 9 year olds can’t drive so this was also a pretty formative experience for the parents as well. We found a major difference between volunteering once or twice a month at a smattering of different agencies (takeaway: “we volunteered”) vs. thematic volunteering around a greater topic (takeaway “poverty impacts fellow Austinites in a huge number of ways…”). My husband and I have been very interested in the ADB as years ago at Ogilvy I had been staffed on creating a CSR project focused on diaper need. 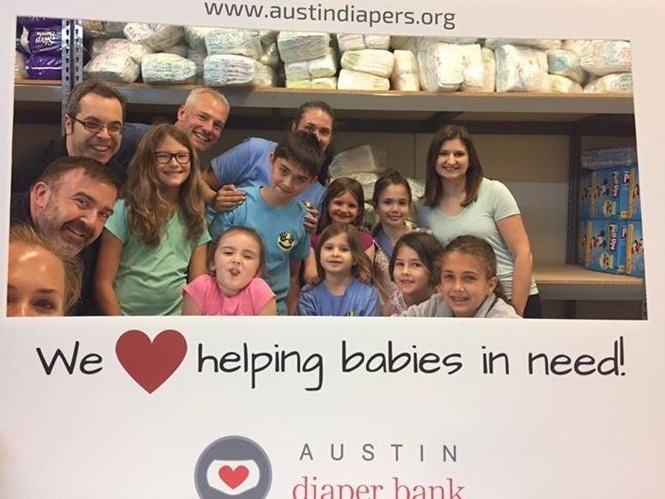 Through that experience, I had met a number of independent diaper bank founders and been inspired by their relentless pursuit of shedding light on this issue and helping mothers in need. As such, I have been a relatively regular volunteer at ADB with my son and he knew their story. The project he chose was one to help the ADB both with funds and in raising awareness – it grew from there. He wanted to raise money at a the equivalent of a “lemonade stand” to take advantage of the hikers who come to our neighborhood to go down the Hill of Life. Over the course of a few weekends, he raised money, but had the opportunity to have dozens of conversations about WHY he was raising money for the diaper bank and why it exists. From there, I sent out a post on Facebook that we’d be collecting diapers. I assumed people would stop by with open packs of diapers for us to take to the bank. However, in the world of Amazon, we were shocked to see diapers arriving at our door almost daily from all over the country. Co-workers at Spredfast leaned in to donate as well. By the end of the project Fletcher had collected $228 and 2,689 diapers to help fill some of the most in demand shelves of the bank. We finished by gathering friends and family to inventory, wrap and shelve the diapers so they would be ready to go out to local agencies. Fletcher was proud of his work and my husband and I were shocked to realize the impact of putting just a little focus, effort and time against an issue. This will not be the last time we set our sights on improving our community. 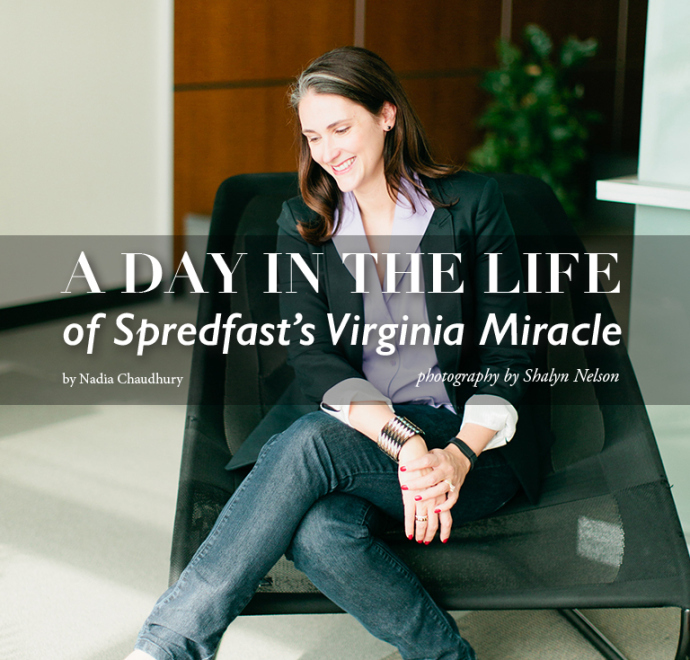 In December, I had the pleasure of spending the day with the talented Nadia Chaudhury. We walked though a very fun day in my life – including interacting with Natanya Andersen and Jan Ryan who are two of my Austin favorites as well as my team. It is a rare and special thing to have talented artists capture in words and images the joy that you find in your daily life and I adore this piece. If you’re interested, the full article and amazing photos at Austin CityGram here. A lot has happened over the last couple of months. 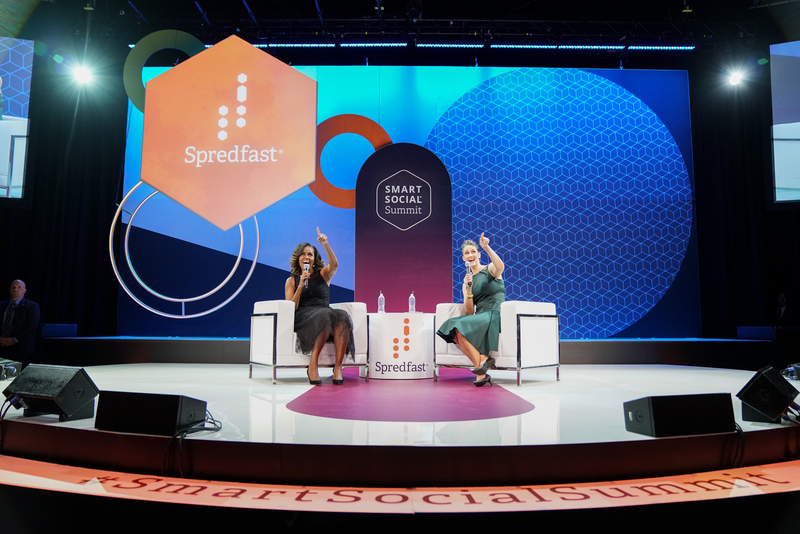 Most importantly, Spredfast and Mass Relevance merged this month to form a 350 person Social Marketing Platform company, for which I am pleased to serve as Chief Customer Officer. Lots more to come on that and the marketing at the speed of life made possible by the combined technologies. In March, the folks at Entrepreneur were kind enough to publish me. Please visit them here to read the full text of Woo Loyal Customers For Life with 4 Winning Ways. Bonus: I address my very loud green jacket IN the video.